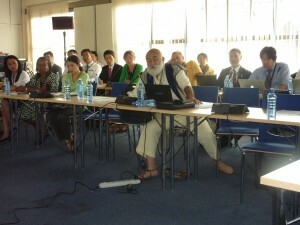 The Third Meeting of the Working Group on the Review of the Implementation (WGRI3), a revised and updated Strategic Plan, was held from 24-28 May 2010 at the UNEP headquarters in Nairobi, back-to-back with the SBSTTA14. The International Satoyama Initiative held the side event on 24 th May at WGRI3, discussed its concept and approach. 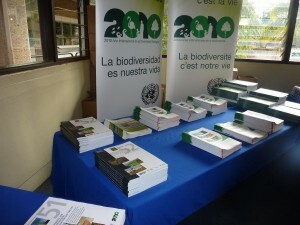 As decided at the ninth meeting of the Conference of the Parties in May 2008, the Working Group would, prepare, for consideration and adoption by the Conference of the Parties at its tenth meeting, a revised and updated Strategic Plan including a revised biodiversity target, as well as a multi-year programme of work for the period 2011–2022, and proposals for the periodicity of meetings after 2010. Satoyama Initiative as a solution. This Initiative intends to support the Strategic Plan for the Post-2010 Period and promote sustainable use of natural resources in socio-ecological production landscape such as agricultural fields and secondary forests, and ultimately contribute to achieving the objectives of Convention on Biological Diversity. Mechanisms to support the initiative will also be described, including in particular the establishment of an international partnership that will be formally launched in October in Nagoya at COP-10 and possible schemes to support on-the-ground activities in line with the Satoyama Initiative. The programmes of the WGRI3 side event (24th May), and five presentations of the WGRI side event are now available for download.